Local MGMA Chapters provide excellent professional development and networking opportunities right in your backyard. Membership in a local chapter is separate from or in addition to membership in Florida MGMA. 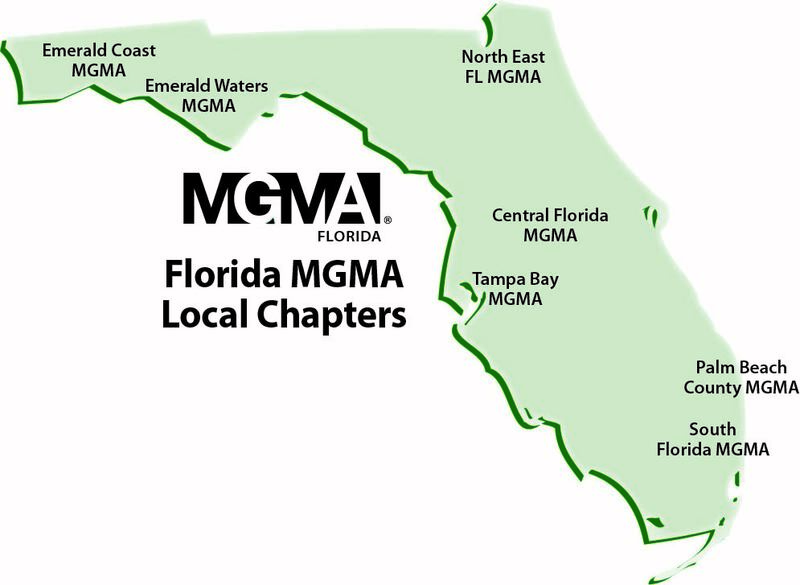 Currently Florida MGMA has 7 Local Chapters. Under the local chapter you will find a list of board members and meeting schedules. Feel free to contact the local chapter board members who can provide further information about their respective organizations. Membership in National MGMA and Florida Local chapters is separate and provides different member benefits than Florida MGMA. For more information on local chapters in the state of Florida see the local chapter tab on this website and contact a local chapter board member. Many local chapters have their own website for further information! Feel free to select the Local Chapter closest to you from the toolbar on the left for more information and contact the local chapter board members who can provide further information about their respective organizations. Refunds will not be given once membership in Florida MGMA has been processed.